Automotive manufacturers know that a well maintained car, truck or SUV increases owner’s satisfaction because the vehicle is more dependable and will last longer. That’s why the manufacturer (“factory”) creates detailed maintenance schedules outlining specific operations to be performed on various components and systems. This is done at different mileage intervals to ensure proper operation and prevent premature wear. Your vehicle’s manufacturer also indicates which services are required to maintain the factory warranty and extended warranty. But did you know that this scheduled maintenance does not need to be performed by a dealership? Best Tires and Auto Repair can provide all of your vehicle’s needs specified in the owner’s manual. 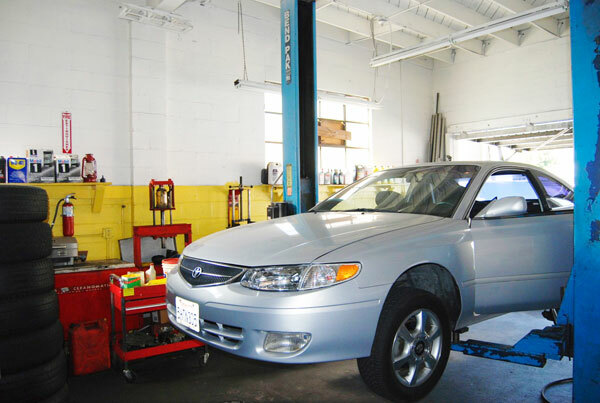 Our skilled technicians perform a wide range of services, making Best Tires and Auto Repair your one-stop shop for all of your vehicle’s repairs and maintenance. At 3,000 miles, it is important that you check your oil and all fluids. Check your wiper blades. Check tread dept on all four tires and adjust tire pressure to manufacturer’s specs. Proper maintenance will give you more trouble free miles and save you money in the long run. You can get help with this and all your vehicle maintenance at your Best Tires and Auto Repair. Be aware, however, of what is becoming known as “the 3000 Mile Myth.” Although oil companies and quick lube shops like to promote the idea that engine oil should be changed every 3000 miles, advances in car engines and oils have made that obsolete. Synthetic oils, because of their advanced properties, need to be changed even less often. Motorists should check their car manufacturer’s guidelines, which may recommend much longer intervals between changes based on driving conditions. “I remember my first car and how my father told me it was important to change the engine oil every 3000 miles. A lot has changed since then. For the vast majority, 5000 mile oil changes will help your engine last to a ripe old age.” Angelo, host of In the Garage with Jim and Angelo, on KLSX FM. Hamlet’s Auto Repair has been a great repair shop for our car. Since we started to use them in mid 2011 for brakes, lube, and most recent a transmission change. Great mechanic very fast, very speedy and very friendly. They make sure to do a good job. service is awesome! I LOVE THESE GUYS THEY GIVE U AN ACCURATE ESTIMATE WITH NO GAMES AND THEY ARE VERY VERY RESPECTABLE. Best Tires & Auto Repair © 2019. All Rights Reserved.